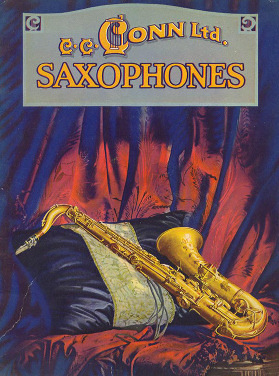 Conn made some innovative and remarkable instruments during the Golden Age of saxophones. Unfortunately many of them never had a chance to catch on because of the Great Depression. In many respects the designers at Conn were visionaries who were too far ahead of their time. Here are a few ads that span from 1907, to the sax-crazed roaring ’20s and beyond.